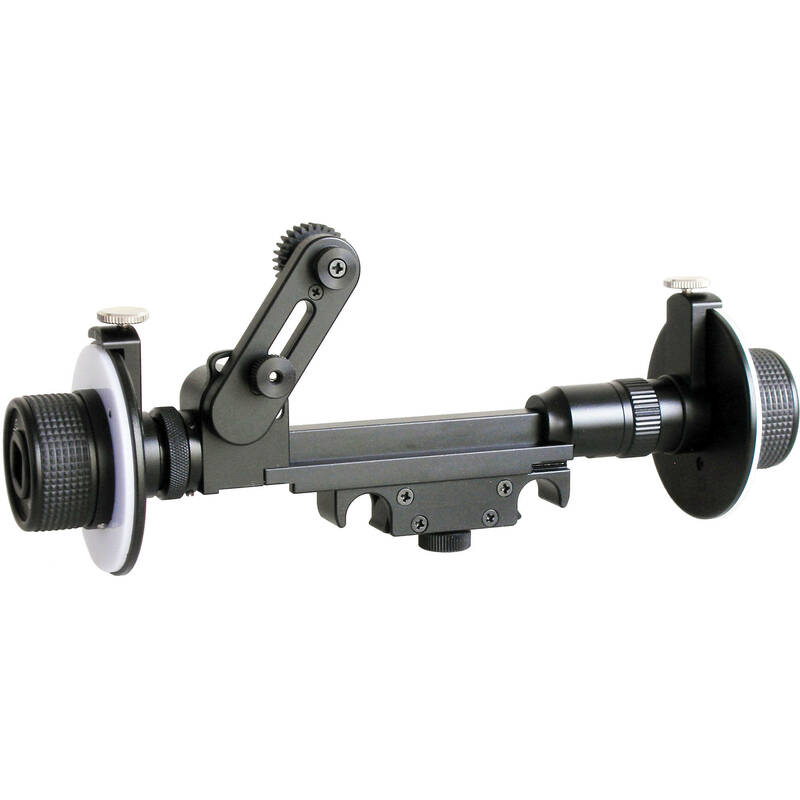 The Cavision Mini Dual Wheel Follow Focus for 15mm Rods enables precise focus adjustments and features dual handwheels, an adjustable gear arm and a horizontal slide adjustment. Cavision's Mini follow focus mounts on standard 15mm support rods. The second handwheel can be attached and detached as needed. Optional accessories include lens gear rings and additional drive gears (sold separately). Box Dimensions (LxWxH) 11.4 x 3.5 x 3.3"